If you are not already familiar with Issa Rae, get ready to fall in love with her humor, charm, and awkwardness! 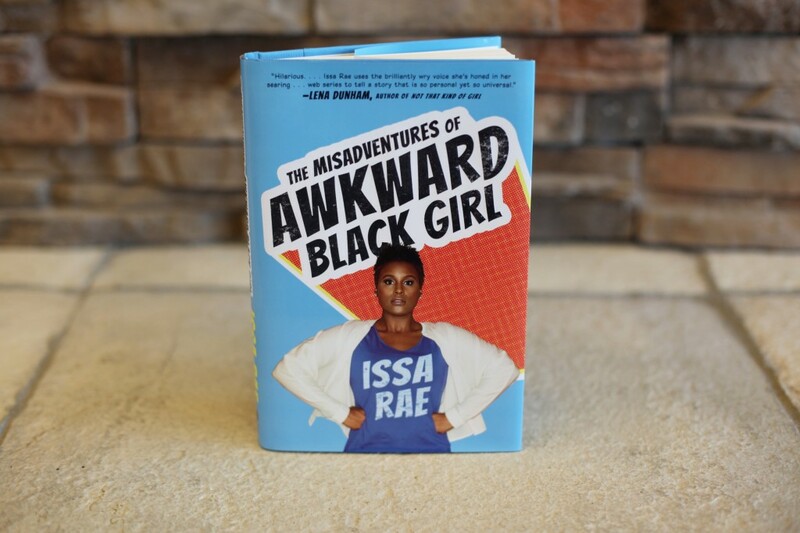 The Misadventures of Awkward Black Girl is a hilarious collection of essays about Issa Rae’s awkward journey so far. I’m sure that when you walk into your local bookstore, you see a lot of books written in recent years by popular comedians. Trust me when I say, this is the first one you should pick up. As someone who has read them all, I can say without a doubt that The Misadventures of Awkward Black Girl is the best comedian written memoir I have read in the past five years. Whether you are black, white, awkward, outgoing, or none of the above, Rae finds a way to be relatable to everyone. Her stories of growing up in the digital age are both honest and laugh out loud funny. Rae also tackles culture, growing pains, and accepting yourself all while keeping the laughs coming. Rae’s debut memoir would be a great addition to any book shelf and is the perfect read for when you are in the mood to laugh.